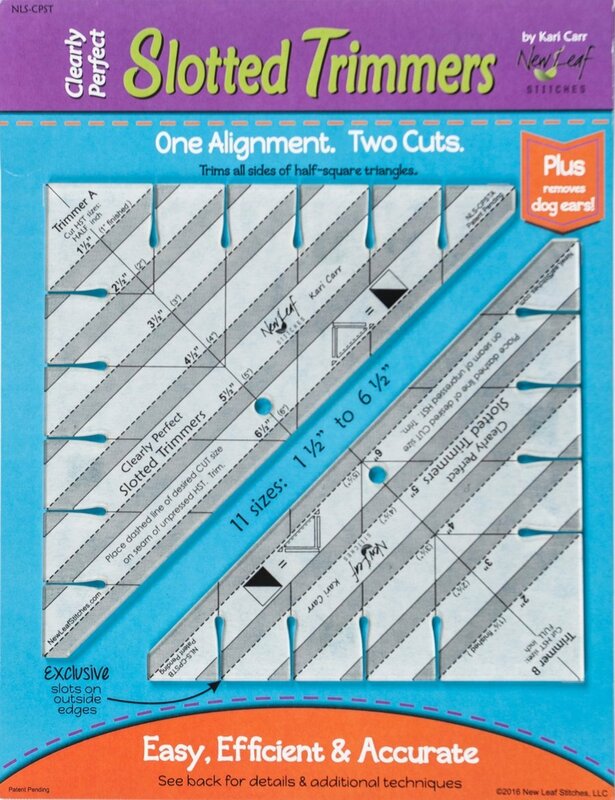 Clearly Perfect Slotted Trimmers trim all sides of half-square triangles with just two cuts and removes dog ears at the same time. Two trimmers included in the package. Trimmer A cuts half inch increments in 6 sizes. Trimmer B trims whole inch increments in 5 sizes. Package also includes instructions for quarter square triangle blocks and three piece triangle blocks.